No longer will you need to run DMX cables to your front-of-house lighting positions, which takes hours of work, can be expensive, and looks unsightly. 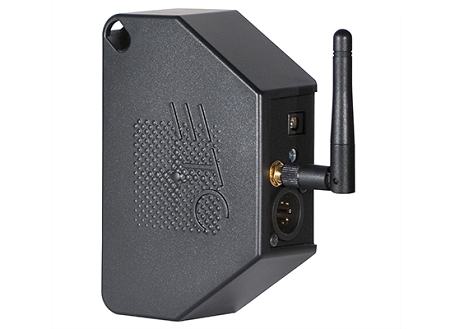 The ColorSource™ Relay is the answer: a low-cost and revolutionary wireless power control solution that switches power and easily transmits DMX to remote or hard-to-reach places in any space. It’s ideal for small- to medium-sized venues like community centers, university theaters, houses of worship and schools. 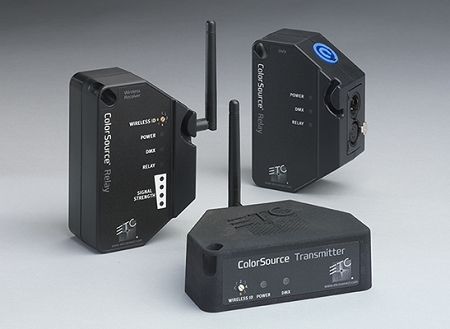 The wireless ColorSource Transmitter is an essential part of the ColorSource Relay system. The ColorSource Transmitter connects to hard-wired DMX and automatically sends wireless DMX to any ColorSource Relay within a 328-foot (100-meter) range. Both the ColorSource Transmitter and Relay require minimal setup and zero programming before use. Simply take them out of the box, plug them in and your new relay system is fully operational!